Raptor 4x4 Tubular Steel Snorkel For Suzuki Samurai. This Raptor 4x4 tubular steel snorkel is designed for Suzuki Samurai. Raptor 4x4 and Tyrex fabricate various snorkels for several car models. They can be fitted without modifications and allow a smooth air flow for maximum engine performance. Part Number: K5T46771. 1.5L (1490cc) Petrol 102Bhp 3Door Hatchback 5 Speed Manual RHDAir Con: Yes. We are Breaking a 2009 Suzuki Swift GLX. Paint Colour: Superior White. Paint Colour. All parts are used but fully tested and in full working order before removal. SUZUKI VITARA 1988>1993 VITARA. SUZUKI VITARA 1993>1997 VITARA. SUZUKI VITARA 1993. SUZUKI VITARA 1991. SUZUKI VITARA 1992. SUZUKI VITARA 1994. SUZUKI VITARA 1995. SUZUKI VITARA 1996. SUZUKI JIMNY (FJ) 1.3 16V 02.01 - 60 82 1328. SUZUKI JIMNY (FJ) 1.3 16V 4WD 02.01 - 60 82 1328. SUZUKI JIMNY (FJ) 1.3 16V 4x4 08.05 - 63 86 1328. SUZUKI JIMNY (FJ) 1.3 4WD 05.14 - 62 85 1328. SUZUKI JIMNY (FJ) 1.5 DDiS 4WD 12.03 - 48 65 1461 Construction year to: 07/2004. Be aware that there may be variations of a part due to your car being an import or by part superceeding etc. Part number 18117-64D01. COLD AIR FEED/INTAKE PIPE - BLUE with SILVER RAMS. Excludes scottish highlands, ireland & northern ireland. No need to attach to the filter assembly. Key Features. Can be cut for shorter lengths or uniformity. RENAULT KANGOO 1.5 DCI 1997-2010. -RENAULT CLIO MK2 1.5 DCI 1998-2014. -RENAULT CLIO MK3 1.5 DCI 2005-2014. -DACIA LOGAN 1.5 DCI 2004-2012. -NISSAN MICRA MK3 1.5 DCI 2002-2010. -NISSAN NOTE E11 1.5 DCI 2006-2014. In-Tank Fuel Injection Pump Kit. Applications:- Ford, Honda, Proton, Suzuki, Opel, Vauxhall. Pump:- P3028.1. Fittings In (mm):- 8mm. Credit or Debit Card. These countries include, but aren't exclusive to, Switzerland, Norway, Malta, Canary Islands and the Greek Islands. SUZUKI GRAND VITARA. SUZUKI PART NUMBER IS 15840-64J01. VE372006 Boost Pressure sensor fits FIAT CITROEN PEUGEOT SUZUKI VE372006 Boost Pressure sensor fits FIAT CITROEN PEUGEOT SUZUKI. NOTE1 : Part Number - VE372006. > EGR Valves. > Throttle Bodies. BnC Presents: HEAVY DUTY AIR MASS SENSOR. 1x Air mass sensor. Air mass sensor. VOLVO: 30713512. VOLVO: 8658471. VOLVO: 9202199. MITSUBISHI: 1525A016. MITSUBISHI: MR547077. Part No : ADK87043. SUZUKI KIZASHI (LHD) 2.4i Sed 4 x 4, FWD 6 MTM CVT J24B R 91S Manifold Sensor 04/10>NULL. 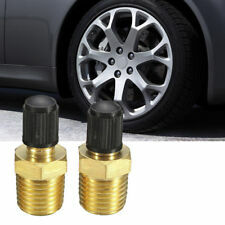 SUZUKI KIZASHI 2.4i Sal 4 x 4, CVT J24B R 91S Manifold Sensor 04/10>. Fitting Position : Exhaust Manifold. Part No : ADT37093. FIAT SEDICI 1.6i H/b FWD, 4 x 4 5 MTM M16A YB21S Manifold Sensor 01/06>12/13. SUZUKI IGNIS 1.3i H/b FWD 5 MTM ATM M13A FH 51S Manifold Sensor 10/00>12/03. 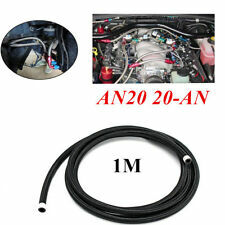 SUZUKI LIANA 1.6i Sal, H/b FWD 5 MTM ATM M16A R 31S Manifold Sensor H/back Model 06/01>02/08. Part No : ADK87015. SUZUKI SUPERCARRY 1995> 1.3i P/Up,Van RWD 5 MTM G13BB DA32 Front 01/99>12/05. SUZUKI JIMNY 1.3i Fd Est - JLX 4 x 4 5 MTM ATM G13BB JB33 08/98>12/05. SUZUKI SWIFT 1992-05 1.0i H/b - 3dr GLS FWD 5 MTM ATM G10A AA44 Manifold Sensor 01/93>12/03. Part No : ADK87008. SUZUKI JIMNY 1.3i Fd Est - JLX 4 x 4 5 MTM ATM M13A JB43 Front Vin JSA. 02/01>. SUZUKI GRAND VITARA 1998-05 1.6i Fd Est - GV1600 4 x 4 5 MTM G16B T 03 Upper 02/01>12/05. SUZUKI GRAND VITARA 1998-05 2.7i Fd Est V6 - XL-7 4 x 4 5 MTM ATM H27A TX92 Manifold Sensor Quantity per Vehicle 2 06/01>12/05. VE372112 MAP sensor fits RENAULT SUZUKI VE372112 MAP sensor fits RENAULT SUZUKI. NOTE1 : Part Number - VE372112. © Rice Rocket. > Throttle Bodies. Part No : ADN17040C. SKODA SUPERB 2008> 1.9DT Sal, Est - TDI FWD 5 MTM BLS/BXE 3T 07/08>10/08. SKODA SUPERB 2008> 2.0DT Sal, Est - TDI 4 x 4, FWD 6 MTM ATM 3T BMP Engine 07/08>10/08. RENAULT KOLEOS 2.0DT SUV - dCi 110/130 4 x 4 6 MTM ATM M9R Y0 07/08>. COLD AIR FEED/INTAKE PIPE - BLACK with BLUE RAMS. Excludes scottish highlands, ireland & northern ireland. No need to attach to the filter assembly. Key Features. Can be cut for shorter lengths or uniformity. Part No : ADK87031. SUZUKI IGNIS 1.3i H/b FWD 5 MTM ATM M13A FH 51S Manifold Sensor 10/00>12/03. Fitting Position : Exhaust Manifold. Part Note : Manifold Sensor. Quality & Precision. The most extensive and up-to-date catalogue coverage for our chosen vehicle sectors. Engine Components. We just want you and your car to be happy! SUZUKI 1541061A00000. SUZUKI 1541061A00. You'll have the part ASAP. We will always attempt to rectify the issue as fast as possible! 12 months warranty on all orders. Part No : ADK87021. SUZUKI LIANA (LHD) 1.3i Kom FWD 5 MTM ATM M13A RC11 Front 06/01>12/07. SUZUKI LIANA 1.6i Sal, H/b FWD 5 MTM ATM M16A R 31S Manifold Sensor H/back Model 06/01>02/08. Fitting Position : Front. Engine Components. We just want you and your car to be happy! SUZUKI 1541073J10000. SUZUKI 1541073J00000. SUZUKI 1541073J00. You'll have the part ASAP. We will always attempt to rectify the issue as fast as possible! Part No : ADG07098. VAUXHALL AGILA 2008> 1.0i MPV FWD 5 MTM K10B B22S Upper Sensor 01/08>. HYUNDAI i40 1.6i Sal,Est - GDi FWD 6 MTM G4FD LC81A Manifold Sensor 04/11>01/15. KIA CEED 2012> 1.6i H/b FWD 6 MTM 6 S/ATM G4FD H 13 Manifold Sensor 03/12>. Suzuki Grand Vitara 1.9 DDiS. Make: Suzuki - Model: Grand Vitara - Engine: 1.9 DDiS - Style: SUV - Year: -- [2005-2011]. Type: 1.9 DDiS. Model: Grand Vitara. Filters Included: AIR - OIL - FUEL - CABIN -. We just want you and your car to be happy! SUZUKI 1531384A00000. SUZUKI 1531384A00. You'll have the part ASAP. We will always attempt to rectify the issue as fast as possible! Eg, Vetech, Erst Klassig, Franzen, NK, etc. Part No : ADK87046. SUZUKI SWIFT 2010> 1.6i H/b - Sport VVT FWD 6 MTM M16A ZA32 Front 09/11>. SUZUKI SWIFT 2010> (LHD) 1.6i H/b - Sport VVT FWD 6 MTM M16A ZA32 Front 09/11>NULL. Fitting Position : -. The most extensive and up-to-date catalogue coverage for our chosen vehicle sectors. Air Intake Pipe. Suzuki Swift. If your parcel is lost or delayed, let us know and we'll look into it. 5 Door Hatchback. 1.3 SZ3 DDIS. This Sale Is For One. VE372008 MAP sensor fit FIAT ALFA NISSAN OPEL RENAULT SMART SUZUKI VAUXHALL VE372008 MAP sensor fit FIAT ALFA NISSAN OPEL RENAULT SMART SUZUKI VAUXHALL. NOTE1 : Part Number - VE372008. The range includes. 12 months warranty on all orders. We will always attempt to rectify the issue as fast as possible! You'll have the part ASAP. With this in mind, we will indicate what type of product you are looking at within the following guidelines. Part No : ADK87013. SUZUKI JIMNY 1.3i Fd Est - JLX 4 x 4 5 MTM ATM M13A JB43 Front Vin JSA. 02/01>. SUZUKI JIMNY 1.3i Fd Est - JLX 4 x 4 5 MTM ATM M13A JB43 Front Vin VSE. 02/01>. 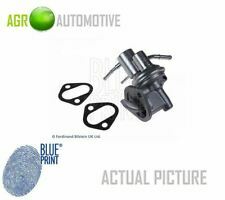 SUZUKI GRAND VITARA 1998-05 2.5i Fd Est V6 - 5dr 4 x 4 5 MTM ATM H25A TD62 Manifold Sensor Quantity per Vehicle 2 08/98>12/05. Part No : ADK87034. SUZUKI IGNIS 1.3i H/b FWD 5 MTM M13A MHX51S Manifold Sensor 09/03>12/08. SUZUKI IGNIS 1.5i H/b FWD 5 MTM ATM M15A MHX81S Manifold Sensor 09/03>12/08. SUZUKI IGNIS 1.5i H/b - 4Grip 4 x 4 5 MTM M15A MHY81S Manifold Sensor 09/03>12/08. VE372090 MAP sensor fits CITROEN FIAT for D MAZDA MINI PEUGEOT SUZUKI VOLVO VE372090 MAP sensor fits CITROEN FIAT FORD MAZDA MINI PEUGEOT SUZUKI VOLVO. NOTE1 : Part Number - VE372090. > Lambda Sensors. Suzuki Grand Vitara (JT) 1.9 DDiS 95 129 1870 10.2005 ->. Renault Grand Scenic II (JM0/1_) 1.9 dCi (JM12, JM0G) 88 120 1870 04.2004 ->. Renault Grand Scenic II (JM0/1_) 1.9 dCi (JM14) 96 131 1870 05.2005 ->. Part No : ADK87019. SUZUKI WAGON R 1.3i MPV - GL FWD 5 MTM ATM G13BB MA53 Front 05/00>09/03. SUZUKI WAGON R (LHD) 1.0i FWD 5 MTM G10A MA93 Front 05/00>12/07. Fitting Position : Front. Quality & Precision. Part No : ADG07049. DAEWOO LANOS 1.4i H/b - S,SE FWD 5 MTM A13SM TF C Manifold Sensor 10/97>02/03. DAEWOO LANOS 1.6i Sal,H/b - SX FWD 5 MTM ATM A16DMS TA/TF Manifold Sensor 10/97>02/03. DAEWOO LEGANZA 2.0i Sal - SX,CDX,CDX-E FWD 5 MTM ATM X20SED VF/VA69 Manifold Sensor 11/97>02/03. Part No : ADK87036. SUZUKI BALENO 1.6i Sal,H/b FWD 5 MTM ATM G16B GC/A31S Front 07/95>12/00. Fitting Position : Front. Quality & Precision. The most extensive and up-to-date catalogue coverage for our chosen vehicle sectors.